The Living Rosary is a beautiful devotion in which a group of people gather to both create and pray the rosary with an individual representing each bead of the rosary. 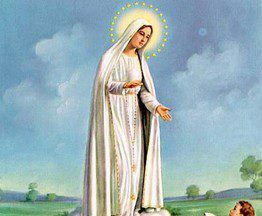 Please join us for our next Living Rosary in honor of the Feast of Our Lady of Fatima, on May 10th at 7:00 PM in the Chapel. All faiths and all ages are welcome! Those completing the 33-day Marian Consecration are invited to join us after the rosary for the consecration prayer and a special blessing. For more information, please contact Maryann at apperthoo@bellsouth.net.